A collection of video tutorials showing how to create a variety of dollhouse kitchen appliances, furniture, dishes, kitchenware and accessories for the dollhouse kitchen. Playlist includes 8 tutorials~ Sinks, shelves, cabinets, counters 3 refrigerators, 3 stove/oven and 1 microwave oven. Playlist includes 6 tutorials~ hand mixer, toaster, waffle iron, blender, KitchenAid stand mixer and a drink blender. Playlist includes 10 tutorials~ desert stand, plates, bowls, mugs, glasses, serving dish and cutlery. Playlist includes 15 tutorials~ canisters, baking supplies, tin cans, can opener, wooden spoon, spatula, utensils, pots & pans, cutting boards, knives, cupcake pan and liners. Follow My Small Obsession's board Miniature Kitchen Accessories on Pinterest. 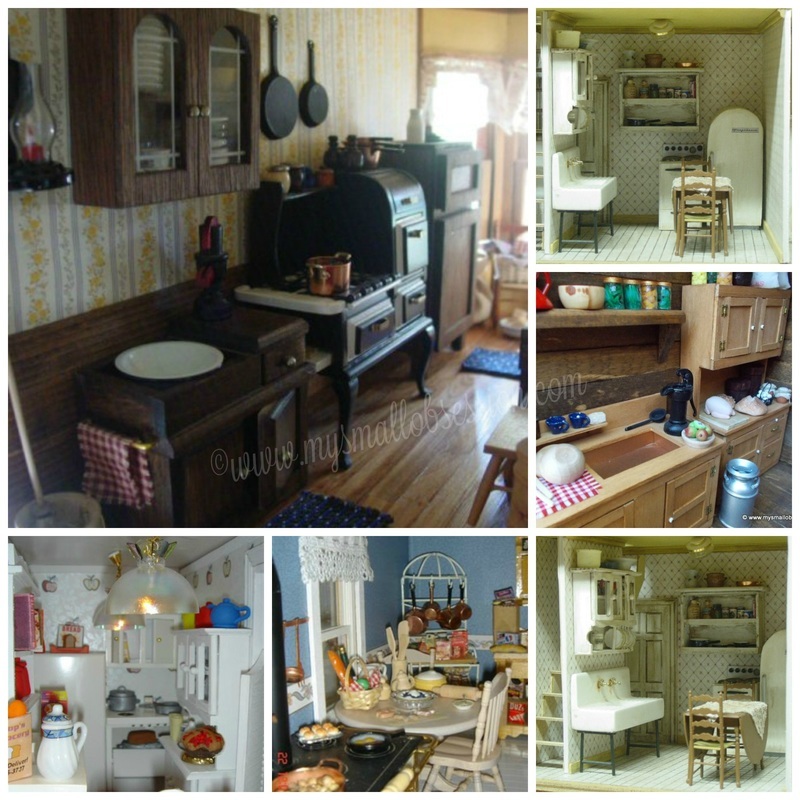 Follow My Small Obsession's board Miniature Dollhouse Kitchen Tutorials on Pinterest.